Give your board the bag it deserves. 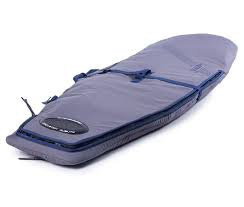 This high quality padded bag will protect you SUP while it is in storage or transit. It has thick padding on the top and bottom sides, plenty of handles and an adjustable shoulder strap. The board slides in easily.